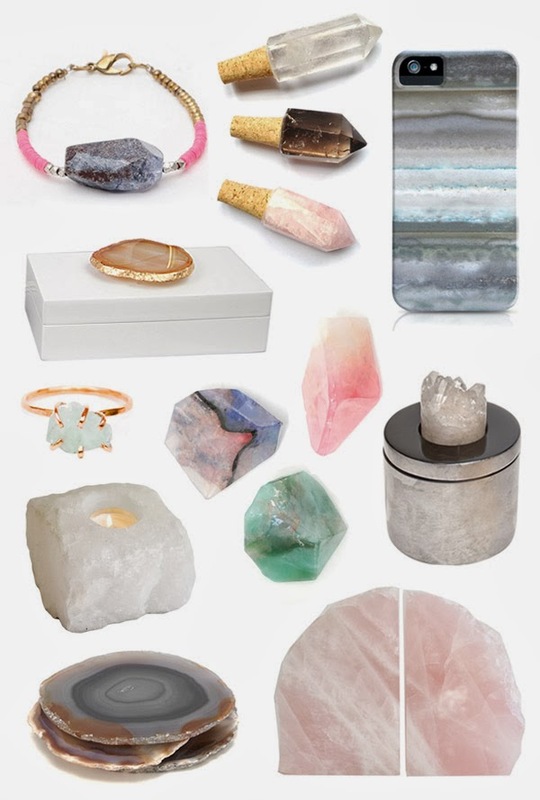 I've been loving the agate, gemstone and mineral trend in decor for a while now (evidence here), but lately it seems more prevalent than ever. When it comes to decorating, I love mixing old with new, found with store-bought and rustic with modern, so it comes as no surprise that I am totally on board with this trend. Lately, I've been dreaming up ways to spruce up my apartment and will no doubt be finding ways to incorporate a few of these items.